Proper care for car leather interiors remains as a leading question by car owners when it comes to the care and ownership of their cars. 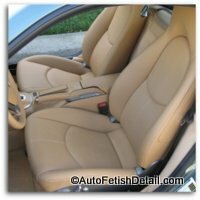 Professional experience has taught me that most of you as car owners tend to become preoccupied with car leather conditioners, rather than what I would consider the basic obvious of car leather cleaning. But whether we are discussing proper car leather cleaning or leather conditioning, the fact is that as consumers, we have been mislead by the industry as to what proper care and cleaning of car leather really entails. And this fact only becomes more relevant as leather is used in more and more vehicles. What was once reserved for the most expensive of cars, leather is common place among cars, SUV's, trucks, and even kiddy haulin' mini-vans! Due to misleading advertising and marketing, experience has proven that people are truly misinformed as to proper cleaning and protecting of this natural material that is quickly becoming increasingly popular! Follow along as I dissect this much confused area of car care to show you exactly what works and what doesn't. The good news is that cleaning and conditioning your car leather is surprisingly easy once you know what works and what doesn't! Understanding the basics is always a good place to start. From understanding the fundamentals of auto leather to some tips to selling your car, to the car leather repair process. Many false notions exist when it comes to car leather; read what the Expert has to say that your not going to hear elsewhere. Go behind the scenes of the auto leather repair process and learn things you won't be hearing anywhere else. Many people overlook the more important step of cleaning car leather before they condition their car leather. Keeping the leather clean in your car doesn't have to be as difficult as many have been lead to believe. 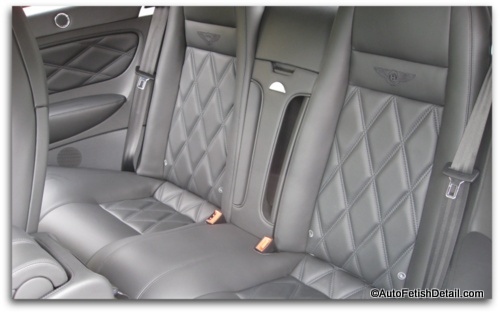 Learn what auto leather cleaners work with recommended leather interior cleaning tips. Learn why your current car leather cleaner is ineffective and what you can do about it. Many people will become fixated on leather conditioning at the expense of proper leather cleaning. Follow this comprehensive Q. and A. session to become an informed consumer with regards to your car leather interiors. Before you buy, become an educated consumer and learn tips when choosing a quality car leather conditioner.